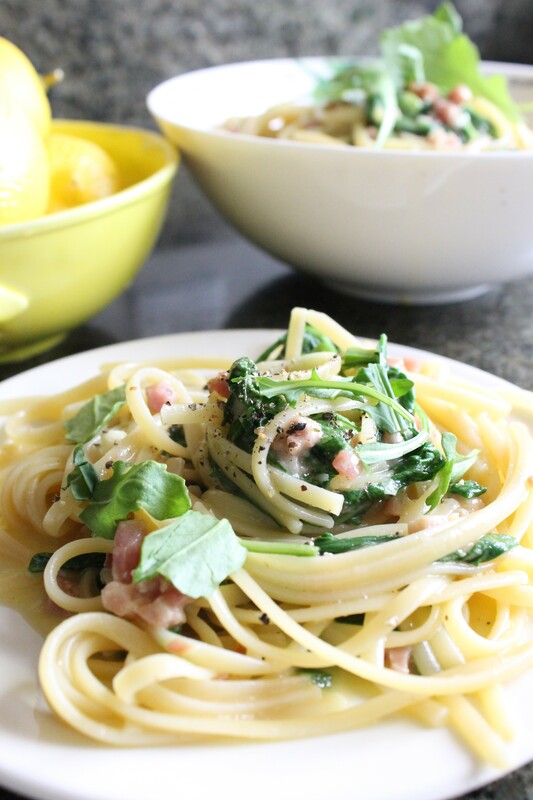 Winter-ready pasta, that’s what this dish says to me. Fatty, cheesy, and packed with enough salty prosciutto to make all the heart healthy folks out there run screaming for the hills clutching their Lipitor. While I’m still young and relatively healthy, I shall enjoy this with a touch of moderation and a gigantic salad. Salute. Bring a pot of water to boil, with enough room to cook the pasta. 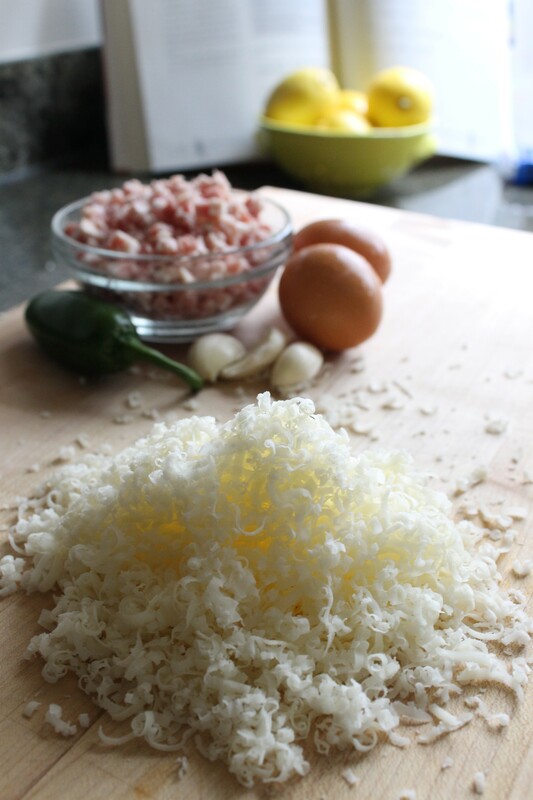 In a small bowl, whisk the eggs and add the cheese. Set aside. 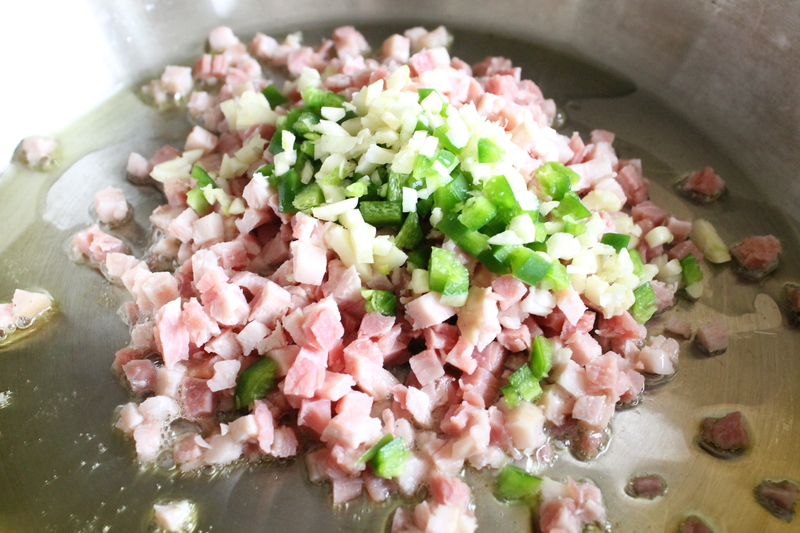 In a large saucepan, heat the olive oil over medium and add the prosciutto, jalepeno, and garlic. Cook until garlic just starts to brown, then add ⅓ c chicken stock. Bring to a boil and reduce until mostly evaporated. 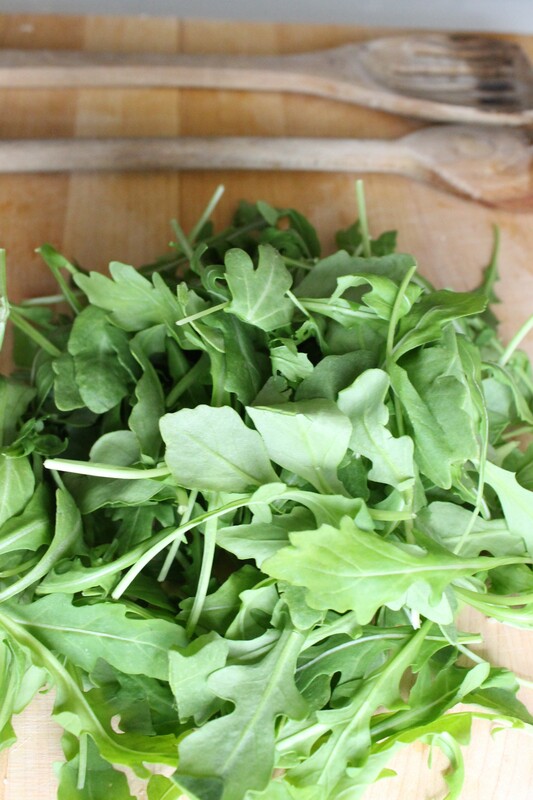 Stir in 3 cups of the arugula until just wilted, then turn off the heat. Cook the pasta until al dente, then drain. 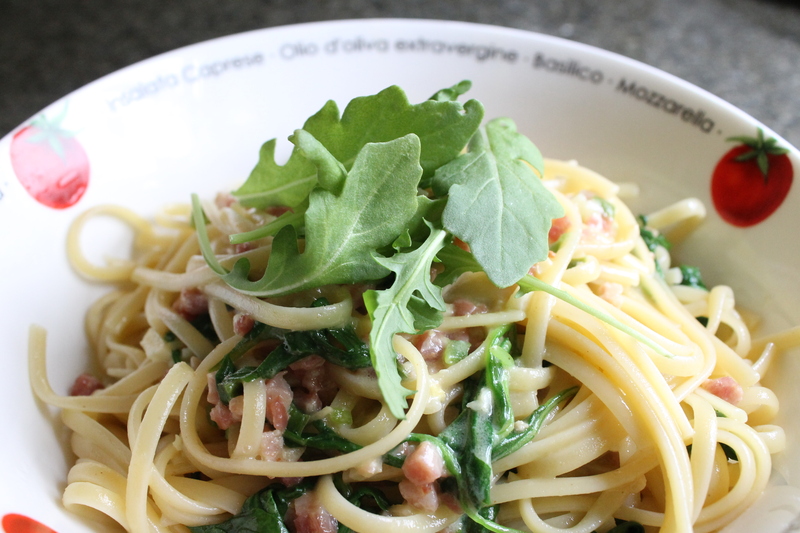 Place pasta in saucepan with the prosciutto mixture, then add 1 T chicken stock and the butter. Toss to combine, then quickly mix in the egg mixture. Toss this very thoroughly until the sauce thickens. 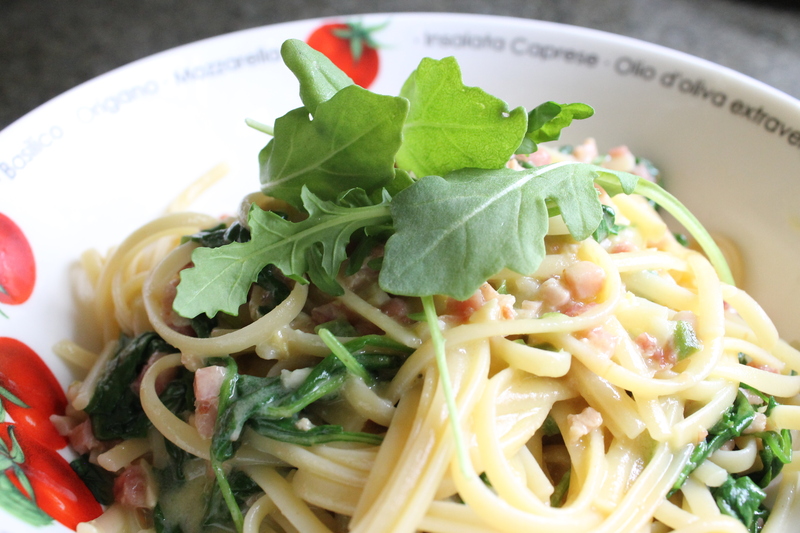 Add in the remaining 1 cup arugula. If the sauce is too thin, turn the heat back on medium-high for a couple of minutes, stirring constantly. If the sauce is too thick, thin with a bit of chicken stock. Add lots of freshly ground pepper and a squeeze of lemon juice and nom!